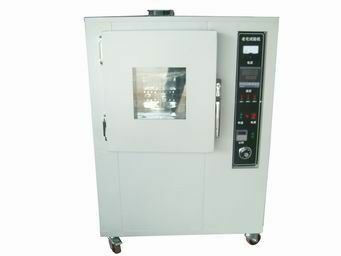 Rubber aging test chamber is used for testing anti-aging performance of rubber and plastics. Take out and placed under normal temperature for 4 hours. Test its tensile strength, elongation, and rest rate. calculate the change rate of tensile and elongation before and after heat. It’s generally thought that test for one day at 70°C, in theory as exposed to the atmosphere for 6 months.